Kick off your visit on the 17th (Sun): contemplate in the serene atmosphere at Pemayangtse Monastery. On the 18th (Mon), you'll have a packed day of sightseeing: explore the ancient world of Rabdentse Ruins, don't miss a visit to Pemayangtse Gompa, admire the landmark architecture of Sangacholing Monastery, then take in the views from Singshore Bridge Bungee Jumping, and finally don't miss a visit to Coronation Throne Of Norbugang. To see ratings and more tourist information, read our Pelling trip itinerary maker . Mumbai to Pelling is an approximately 7.5-hour combination of flight and taxi. You can also drive; or do a combination of bus and taxi. In March, Pelling is slightly colder than Mumbai - with highs of 35°C and lows of 19°C. Finish your sightseeing early on the 19th (Tue) so you can travel to Ravangla. 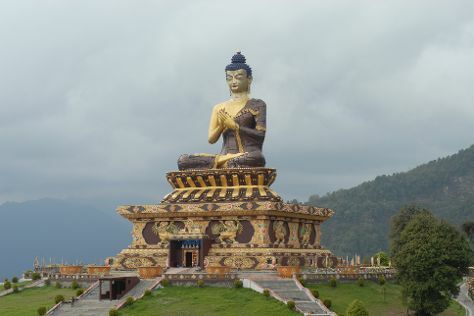 Start off your visit on the 20th (Wed): admire the striking features of Doling Gompa, take in the awesome beauty at Maenam Hill, then take in the spiritual surroundings of Ralong Monastery, and finally stroll through Buddha Park. To find maps, more things to do, reviews, and tourist information, go to the Ravangla travel route planner . Drive from Pelling to Ravangla in 4 hours. In March in Ravangla, expect temperatures between 35°C during the day and 19°C at night. Finish your sightseeing early on the 20th (Wed) so you can drive to Gangtok. On the 21st (Thu), look for all kinds of wild species at Shingba Rhododendron Sanctuary, shake up your sightseeing with a climbing tour, and then contemplate in the serene atmosphere at Enchey Monastery. For other places to visit, more things to do, and tourist information, go to the Gangtok trip app . Drive from Ravangla to Gangtok in 1.5 hours. 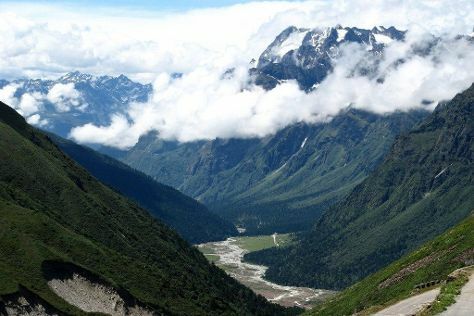 Finish your sightseeing early on the 21st (Thu) so you can travel to Lachung. On the 22nd (Fri), take in the spiritual surroundings of Lachung Monastery, take in the natural beauty of Yumthang Valley, and then take in the awesome beauty at Yume Samdong (Zero Point). For photos, reviews, and other tourist information, you can read our Lachung attractions website . Drive from Gangtok to Lachung in 4.5 hours. Finish your sightseeing early on the 22nd (Fri) to allow enough time to travel to Darjeeling. Kick off your visit on the 23rd (Sat): admire all the interesting features of Happy Valley Tea Estate, then get a new perspective on things with Boat Tours & Water Sports, and then take in the spiritual surroundings of Mahakal Temple. To find ratings, reviews, photos, and more tourist information, use the Darjeeling road trip planner . Traveling by car from Lachung to Darjeeling takes 6.5 hours. In March, daily temperatures in Darjeeling can reach 35°C, while at night they dip to 19°C. Wrap up your sightseeing on the 23rd (Sat) early enough to travel to Mumbai. On the 24th (Sun), get in on the family fun at KidZania Mumbai. Get ready for a full day of sightseeing on the next day: get in on the family fun at Red Carpet Wax Museum, then don't miss a visit to Hanuman Temple of SIES, then contemplate in the serene atmosphere at Nerul Balaji Temple, and finally get the lay of the land with Walking tours. To find maps, ratings, more things to do, and tourist information, refer to the Mumbai day trip planning website . Traveling by combination of taxi and flight from Darjeeling to Mumbai takes 5.5 hours. Alternatively, you can drive; or do a combination of taxi and bus. Traveling from Darjeeling in March, expect Mumbai to be a bit warmer, temps between 39°C and 24°C. Cap off your sightseeing on the 25th (Mon) early enough to travel back home.